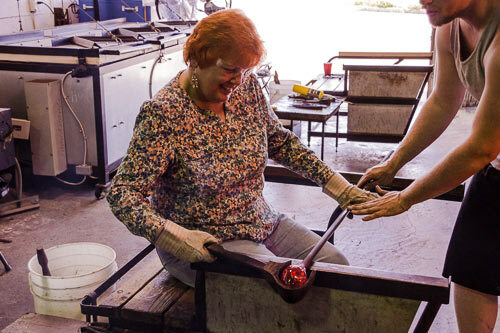 You can’t hardly think about Tacoma without thinking about glass, so there’s no better way to fully immerse yourself in the local culture than by creating a glass masterpiece of your own. And that’s exactly what I did yesterday. I walked in to Tacoma Glassblowing Studio a total novice, and walked out after I created a beautiful glass bowl. The folks there make it easy, and the best thing is that everyone can do it. That’s right, whether you walk, roll or have limited hand movement, you can do it too. 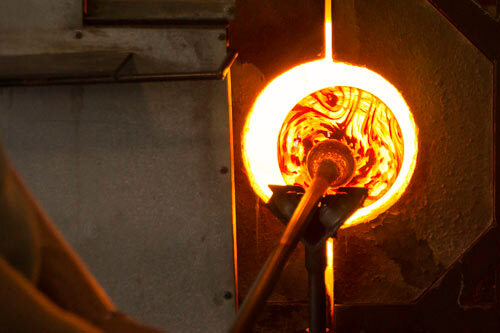 The glassblowers are very patient and they have even worked with people who use supplemental oxygen. I was kind of amazed at that, but they assured me that it’s perfectly safe. 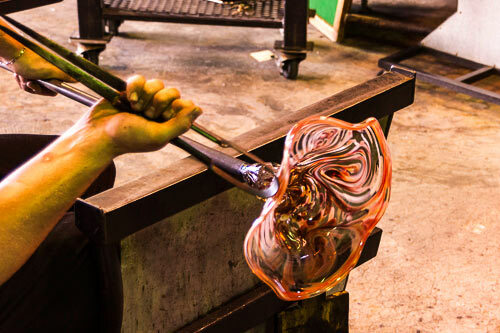 And if you have limited hand or arm movement, the glassblowers will be that extra set of hands for you. It’s also very affordable, at just $65 per session. And although you can’t take your creation with you straightaway (it has to gradually cool for a few days), you can pick it up later, or they will ship it to you for just $15. Quite a deal for a bucket list item! So give it a try next time you’re in Tacoma. If I can do it, you certainly can too! This entry was posted in Attractions and tagged disabled, glass, glassblowing, slow walkers, studio, tacoma, wheelchair, wheelchair-users by Candy B. Harrington. Bookmark the permalink.